$1.09 to $94.99 & FREE Shipping on orders over $59 $35. Cascade hops are the classic American hop that really started the hop craze. Defined by its citrus, and often more specifically grapefruit flavor, it is now sought out around the World. 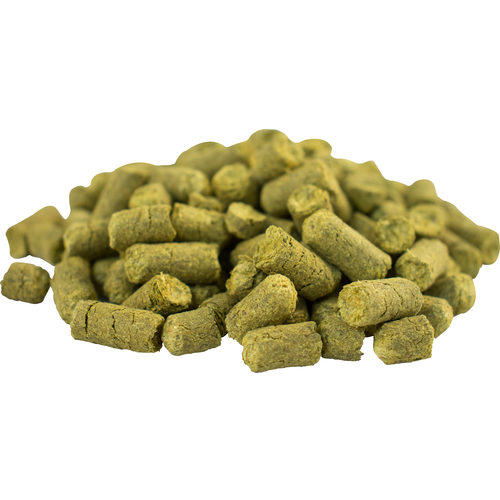 Cascade hops are a true dual purpose hop that can be used for bittering, at the end of the boil, or the fermenter. Used in so many craft brewed pale ales, but none more famous than Sierra Nevada's Pale Ale. You cannot go wrong using Cascade hops in all kinds of American style ales. Part of Resilience IPA recipe. Sierra Nevada clone my man! My favorite hop for nearly any style! Great deal on a staple hop. Will break them up into 1 or 2 oz packs, vacuum sealer w/ food saver and freeze. Great aroma in these fresh hops. Old reliable. Very nice. Excellent price on them as well. Can't go wrong with cascade! This is one of my favorite hops. I use it as a single hop in a few beers. I love it. I use this almost always in all my IPA's. A great hop to have on hand if you plan on brewing pale ales and india pale ales on a regular basis. This is one of my favorite hops. I try to buy all of my hops from MB as my local shops only sell in 1oz packages. The bulk packaging with O2 barrier and zip lock seal are why I choose MB as my go to hop source. Fresh Hop pellets in vacuum packed O2 barrier bag. Love the C's. This is the hop that we've all tasted in west coast pales and IPA's. I always keep at least a half pound in the freezer. Great for bittering or aroma, a go to hops for pale ale!